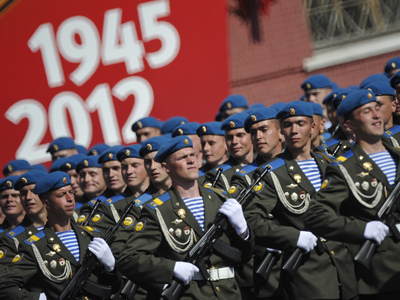 Russia is celebrating Victory Day, the anniversary of the defeat of Nazi Germany in World War II. In honor of those brave veteran soldiers who fought the good fight, parades will mark the spirit and sacrifice of Russia’s military forces. ­On Wednesday morning, military parades are be held in cities throughout the country. Moscow’s central Red Square saw the biggest event, with 14,000 troops marching across its granite paving stones. 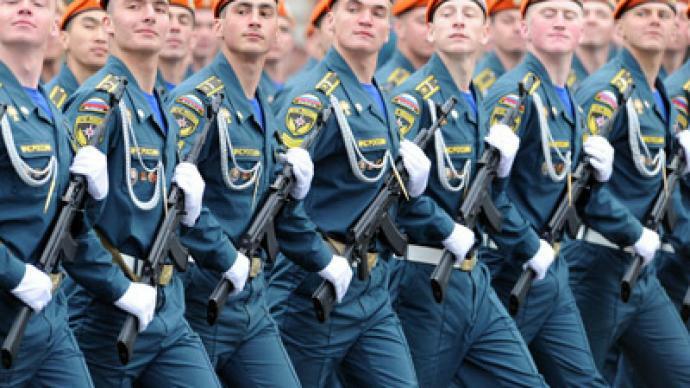 The parade gave a chance for Russians to see the country’s military hardware up close. Tanks, APCs, ballistic missile launchers and other combat vehicles rolled through the capital’s streets. The armored fighting vehicles had their tracks covered with rubber protectors so as not to damage the ground beneath them. Also taking part in the parade were helicopters of the Russian Air Forces. They passed over Red Square bearing flags and banners of the various military branches. Throughout the day celebrations will be held for war veterans. In Moscow, open air concerts have been organized in three squares – Tverskaya, Lubyanskaya and Teatralnaya. There are also traditional veterans’ meetings held in the city’s parks. Traditionally, a minute of silence is also observed throughout the country, at 19:00 Moscow time ( 15:00 GMT). It was introduced in 1965 as a way to commemorate those who died in the Great Patriotic War, as it's known in Russia. Late in the evening after night has fallen, a traditional fireworks display is held on Victory Day. This year is the 67th anniversary of the defeat of Nazis by the joint allied forces. Russia paid the biggest price in terms of loss of life – 27 million people died in the war, the majority of them civilians. 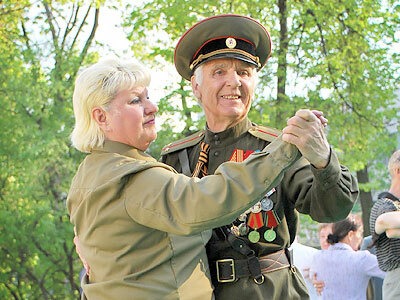 Today four million people living in Russia are veterans of that war. About half of them were in the military, manning the front line or fighting with the resistance in the occupied territories. Others were workers building weapons, the civilian residents of besieged cities, and prisoners forcibly taken to labor camps.